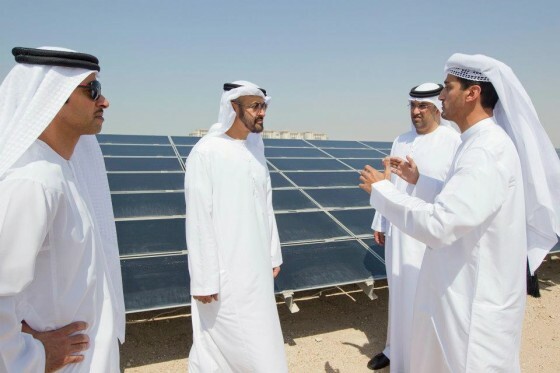 Oblivious to the challenges facing SA’s renewable energy industry, Qatar has praised government’s policies in driving green energy in the country. President Jacob Zuma on Tuesday hosted the Emir of the State of Qatar, His Highness Sheikh Tamim Bin Hamad Al-Thani. The Emir is on a two-day state visit to SA. “South Africa’s renewable power policy is impressive and ambitious. I commend the policy for not only the ambition but the credibility that lies behind it. I admire South Africans and the mention of natural gas in the renewable energy policy even though natural gas is not a renewable energy source,” said Fahd Al Kuwari, a senior energy policy analyst at the Qatari Ministry of Energy. The policy analyst formed part of the Qatari delegation that is in SA on a two-day state visit. Although SA’s renewable energy programme has largely been hailed as a success, it is facing uncertainty with power utility Eskom and the Department of Energy (DOE) stalling the signing of power purchase agreements with renewable energy independent power producers (IPPs). In what has become a trend, this week, the energy department once again delayed the signing of power purchase agreements with the renewable energy industry. Some critics believe the delay tactics are a deliberate ploy by government to sign a trillion-rand nuclear deal. SA’s National Development Plan has stressed the importance of a greater mix of energy sources and a greater diversity of IPPs in SA’s energy mix. This has been made a reality through the Department of Energy’s Renewable Independent Power Producer Programme (REIPPP). The renewables programme, which is seen as an example for other African countries, has resulted in over 6 000MW of generation capacity being allocated to bidders across a variety of technologies, principally in wind and solar. In November 2016, power utility Eskom said it had spent approximately R9.5 billion in IPP renewable energy, while 2 000MW is already connected to the grid. REIPPP is aimed at bringing additional megawatts onto the country’s electricity system through private sector investment in wind, biomass and small hydro, among others. “You have diversified your energy supply, you’ve diversified the electricity grid and you’ve managed to maintain a sense of environmental consciousness by allowing private companies to enter the market and distribute renewable energy. From a Gulf perspective, from an energy perspective, I commend South Africa for what it has achieved,” said Al Kawari. Qatar, which established diplomatic relations with SA formally on 10 May 1994, has massive oil and gas reserves. The country is looking to deepen its relations with SA. Al Kuwari stressed that natural gas and renewable energy go together.